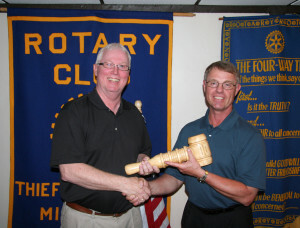 Tim Hagl (right) was presented with an award recognizing his service as president during the 2012-2013 year. The plaque was presented by Emery Lee (left). Tim Hagl (right) passes the Rotary Gavel to Randy Hultgren (left) on June 25, 2013. 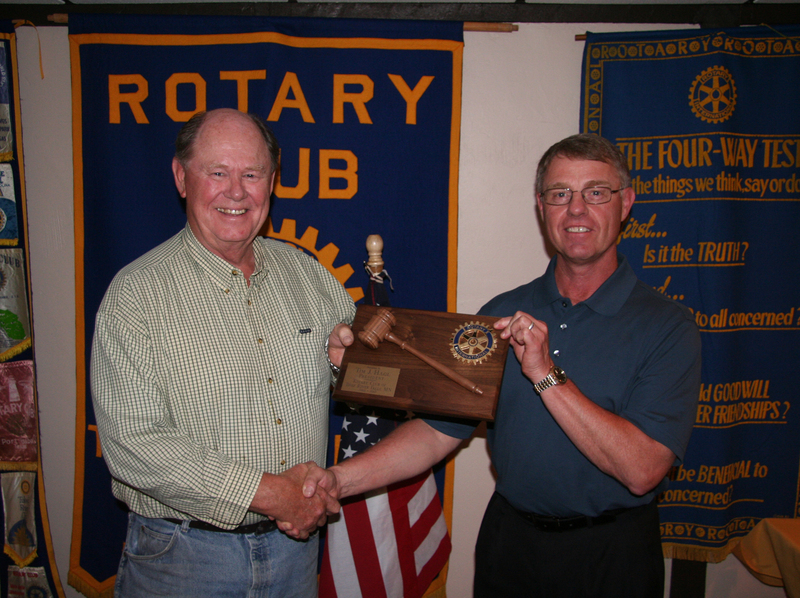 Hultren will hold the office of president until June 30, 2014.